Natali and Justin are originally from Florida. 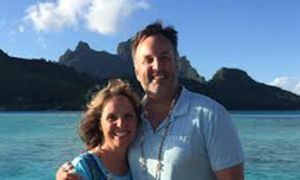 As avid world travelers they have a strong appetite for adventure, discovering native sites and experiencing the gift of local cultures. 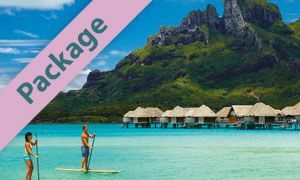 When they contacted us to help plan their honeymoon in paradise, we customized a package that would provide the romance and tranquility they longed for, while offering at the same time plenty of exploration opportunities to satisfy their traveler's curiosity. The result was a simply fantastic trip! Natali: It’s been my dream to visit Bora Bora for years! So of course, my husband and I decided to go there for our honeymoon. 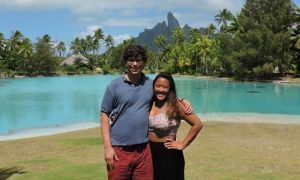 We spent months planning and saving and after tons of research, we chose to stay at the Sofitel Marara Beach & Private Island on Bora Bora. 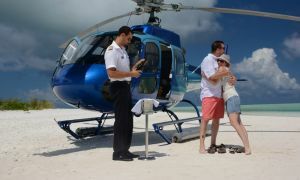 We wanted the perfect experience for us and we were not disappointed. 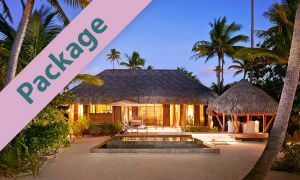 We stayed in an Island Luxury Overwater Bungalow at the end of the ponton and also 2 nights in the villa. Both very clean with comfortable king beds, gorgeous views, and equipped with everything we needed (complimentary minibar), snorkel, fins, and mask, bath tub, and blow dryer. I really wanted a nice bath tub and noticed that many of the other resorts didn't have one. I also liked that they had Polynesian décor, instead of the more modern look that we saw in photos of the other resorts. We are very active people who like to explore, so we wanted the free access to the main island. We were able to buy snacks at the local market and eat at local restaurants to save some money. We had low expectations for food in Bora Bora in general based on other reviews, but it was great for us. 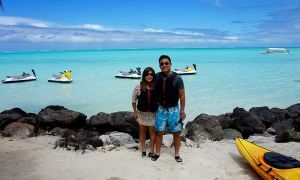 We did the Motu Tapu Lagoon tour with Shark & Ray experience and the snorkeling was fantastic! We saw baby black tip reef sharks, eagle rays, and tons of beautiful fish. 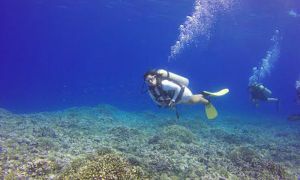 It was like snorkeling in an aquarium! 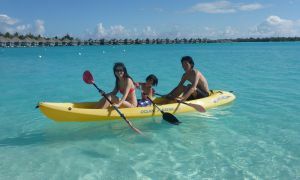 Snorkeling and water activities were important for us. My only suggestion would be to consider adding more paddle boards, since they only have one. However, the service was excellent! I especially wish to thank Tania and Clement for going above and beyond to make sure we enjoyed our stay. 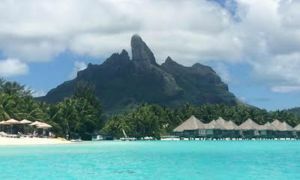 After Bora Bora we went on to Moorea and stayed at the Sofitel Moorea Ia Ora Beach Resort. We upgraded to a Horizon View Bungalow and it was so worth it. Moorea was beautiful. Since the edge of the surrounding coral reef is closer than in Bora Bora, we could hear and see the waves crashing at a distance from the deck of our overwater bungalow. It was awesome! We were also surprised at how great the snorkeling was at the resort. They had small coral gardens all around which attracted lots of fish. I would feed them by hand every morning. It was fantastic! The beach was beautiful and calm. I actually got much better paddleboarding conditions in Moorea than in Bora Bora, and the beautiful beach on the property was perfect for swimming, snorkeling, and relaxing on the sand! We rented a car to explore the island, which was necessary if we wanted to see anything outside of our resort. We drove up to Belvedere point for a spectacular view of both bays (Cook’s Bay and Opunohu Bay). In our search for a great sunset, we found a little unassuming café called “Le Sunset” that turned out to be really good! The food was good and the view of the sunset was perfect. On our last day we were supposed to go eat at Coco Beach, but it rained so we never made it. I would have liked to experience it. It would have also been nice to take a horseback riding tour. For next time! We were referred to Jennifer at Pacific for Less to help customize our amazing trip. 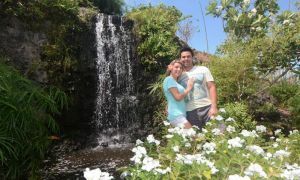 Her friendliness, knowledge of Tahiti and all the little added details totally won us over. 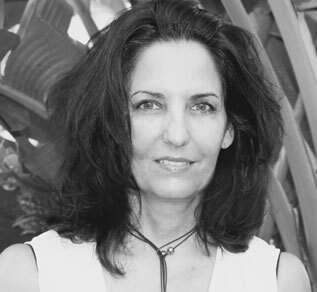 She was able to present options for us quickly and had lengthy emails full of great information. I was also able to reach her at any time when I had questions or concerns. 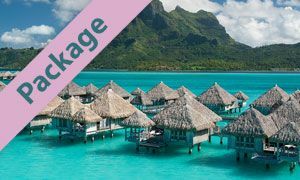 The Bora Bora experience was by far our favorite leg of the journey (as Jennifer said it would be) but our whole trip was truly amazing, we loved it!!!! Spending time on the deck of our Over Water bugalows gazing at the stunning views. 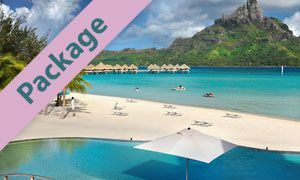 Our favorite thing about Bora Bora: The mesmerizing turquoise lagoon with the varying shades of blues and greens. Best part of our trip: The Motu Tapu Lagoon tour with Shark & Ray experience and the Love Boat Photo Safari tours! Try the local markets and restaurants on Bora Bora’s main island, especially the Mahi Mahi and tuna dishes - they are the best. Bring a GoPro - this is a must! Also ziplock bags to carry bread for feeding the fish & rope to tie your float to the bungalow. A mini tripod is highly recommended to capture your best photos. 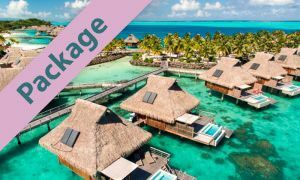 Includes a daily breakfast buffet , a complimentary pareo & tee shirt, complimentary mini bar (2 beers, 2 sodas, 2 waters, refilled daily), complimentary WiFi , and roundtrip Airport-Hotel-Airport Transfers. Includes a daily breakfast buffet , complimentary mini bar (2 beers, 2 sodas, 2 waters, refilled daily), complimentary shuttle service to the main island, complimentary WiFi, one romantic flower bed, complimentary WiFi, and roundtrip Airport-Hotel-Airport Transfers.